The recent publication of CANVAS PROGRAM (1) raised more questions than expected. The SGLT-2 inhibitor group of molecules were basking in the glory of EMPA-REG trial (2) and its cardio-vascular & renal benefits when CANVAS PROGRAM came as a rude shock. This was the first cardiovascular outcomes trial which demonstrated a statistically significant reduction in cardiovascular death (38% relative risk reduction), hospitalisation due to heart failure (35% relative risk reduction) & all-cause mortality (32% relative risk reduction). Clinically these values translated into 22 lesser CV deaths, 25 overall deaths & 14 lesser hospitalisation due to heart failure for every 1000 patients treated with empagliflozin for 3 years. The results were so impressive (a persuasive P value of <0.001) that a class I indication for reduction of these end points was suggested by FDA. In December 2016, FDA awarded empagliflozin a new indication (apart from glucose lowering), i.e. lowering CV deaths in type 2 diabetic patients with CV disease (3). With the developments mentioned above there were a lot of expectations from the CANVAS PROGRAM. EMPA-REG trial documented CV benefits in those with established CV disease. Could the same benefits be translated to those without established CVD (the majority of the patient population we see in clinical practice)? CANVAS PROGRAM was supposed to answer this vital question in addition to assessing CV outcomes in those with established CVD. What was the clinical impact of CANVAS PROGRAM? The only end points in which canagliflozin came out with flying colours were MACE & hospitalisation due to heart failure. MACE benefits in only those with established CVD (mimicking EMPA REG trial). No reduction in all cause mortality. No reduction in CV deaths. Significant increase in rates of fractures & lower limb amputations. 23 fewer MACE (? clinical implication: in the absence of any superiority of the individual end points), 16 fewer hospitalisation due to heart failure, at the cost of 15 more amputations per 1000 patients treated for 5 years (1). Where does that leave us with? In a desperate bid to save the molecule there is an effort to generalise the amputation risk aspect. There is no escaping the fact that the amputation & fracture related issue was haunting canagliflozin well before the CANVAS PROGRAM was published (indicated by the black box warnings). What was brought out in the forefront was an EMEA observation of imbalances in the amputation rates in females in the EMPA REG trial (4). Although the EMEA statements were contradictory, they wanted to scrutinise the entire empagliflozin & dapagliflozin data before painting this entire class of molecules with the same brush. In July 19th 2017, the entire empagliflozin databank from phase 2 & 3 & EMPA REG were analysed and there was no signal of either increased amputation nor fracture risk (5). Similarly the entire dapagliflozin polled phase 2 & 3 data did not indicate any adverse signals related to amputation & fracture (6). So where do we stand as of now? Empagliflozin remains the gold standard therapy for all type 2 diabetes patients with established CVD with a very reassuring safety profile. Dapagliflozin has also documented its CV safety in polled phase 2 & 3 trials. Further clarifications will be available after publication oF DECLARE TIMI 58 results. Canagliflozin has MACE benefits but not any CV or all-cause mortality benefits and at the cost of increased serious adverse effects. The first motto of a physician is “do no harm”. It seems to be a safe practice strategy as of now to stick to empagliflozin & dapagliflozin until further clarifications on canagliflozin becomes available. (1). Neal B. Canagliflozin and Cardiovascular and Renal Events in Type 2 Diabetes. NEJM. June 12, 2017DOI: 10.1056/NEJMoa1611925. (2). Zinman B. Empagliflozin, Cardiovascular Outcomes, and Mortality in Type 2 Diabetes. N Engl J Med 2015;373:2117-28. (3).FDA approves Jardiance to reduce cardiovascular death in adults with type 2 diabetes. [Online] Available at: https:/www.fda.gov/newsevents/newsroom/pressannouncements/ucm531517.htm [Accessed on: 13th July 2017]. (4).SGLT2 inhibitors: information on potential risk of toe amputation to be included in prescribing information. [Online] Available at:www.ema.europa.eu/ema/index.jsp?curl=pages/medicines/human/referrals/SGLT2_inhibitors_(previously_Canagliflozin)/human_referral_prac_000059.jsp&mid=WC0b01ac05805c516f [Accessed on: 13th July 2017]. (5). Kohler S. Safety and Tolerability of Empagliflozin in Patients with Type 2 Diabetes: Pooled Analysis of Phase I–III Clinical Trials. Adv Ther 2017, DOI 10.1007/s12325-017-0573-0. (6). FDA briefing document: NDA 202293 Dapagliflozin. [Online]www.fda.gov/downloads/AdvisoryCommittees/UCM378076.pdf [Accessed on: 13th July 2017]. What were the points in favour of such a move? India has the second largest diabetes patient in the World after China. The State in the above-mentioned article experienced an alarming rate of increase in diabetes in the recent past. Who is going to take care of them? There are approximately 600 MBBS, lesser MDs and 60 Endocrinologists in the State. (1) And how come a MBBS is not trained to tackle diabetes competently when he/she is licensed to undertake surgeries? Who is to blame if the MBBS is not qualified to tackle a disease of epidemic proportions? I think the same organizations raising the questions will have to take up the blame for not up-grading the teaching curriculum. If the issue is all about complete ban on non-MCI approved degrees, why should it be so selective? Why there has been no questions raised about those specialists (non-diabetologist) practicing with degrees from the UK (MRCP, FRCS etc.) & US (AB)? A commentary in a reputed journal was looking into the issues related to poor interest of the physicians in pursuing a carrier in diabetes. (4) The ways and means of motivating, supporting and nurturing them were explored. Yes, there is definitely a need to scrutinize and clamp down on courses with poor credentials. However those Universities and Organizations with credibility and Internationally certified courses should be allowed to train the physician. The answer to the problems associated with a disease compared to the ‘Tsunami” in India lies in empowering the physicians and not discouraging them. It would be interesting to note the views expressed by the prominent diabetes related organizations running the show (training and research) in India. [Accessed on: 14th July 2014]. (4). Wilmot E. The future role of the diabetologist. Pract Diab Int 2008; 25(8): 306. India is home to the second largest diabetes population after China. The problem is compounded by an increase in onset of Type 2 Diabetes at an early age predisposing them to diabetes-related complications at a very young age (1). The DiabCare Asia study documented that 50% of Indian diabetics have poor glycaemic control (2). A large quantum of data and effort is spent on the patient’s reluctance to accept insulin as a therapeutic strategy. However physician’s barriers are rarely dealt with. What are the physician-related barriers in India? Education: Routine University teaching focuses on Diabetes as any other disease entity ignoring the magnitude of problem associated with it. Patient education does not feature in any of the training curriculum (3). Most of the physicians look upon diabetes as a disease entity where the only goal is to look for plasma glucose values and adjust the dose of oral hypoglycaemics. Lack of adequate physician education results in poor glycaemic control. Time constraint: An average physician with a special interest in diabetes has to see nearly 30-50 patients in a day. Initiating a patient on insulin including demonstrating the injection technique as well as explaining the dose titration algorithm has to be done by them. It seems convenient to add or up-titrating the existing medications which saves a lot of time. Lack of support staff: Except for a few premier institutes and corporate hospitals, most of the physicians do not have the luxury of assistance from a nurse practitioner or a diabetes educator. This adds on to the issue of time constraint resulting in avoidance of insulin initiation. Lack of referral system: There is no existing tier system as far as referral is concerned. This results in patients reaching an endocrinologist or a tertiary care center with multiple co-morbidities. How do we attempt overcoming physician’s barrier to insulin initiation? Education: The existing teaching curriculum needs to be revamped with special focus on diabetes as a special subject incorporating patient care. Not only National University courses which will probably fall short of training such large number of physicians, but reputed organizations with diabetes-related curriculum needs to be invited to fill in the empty training space. The endocrine and diabetes related organizations could collaborate with reputed international courses to deliver online training, which would not hamper the physician’s busy practice. Time constraint: This issue is intricately associated with the lack of support staff. Once again its courses directed at training diabetic educators with a uniform curriculum complementing the physicians training could make all the difference. When we have a huge team of diabetes educators assisting the physician the issue related to insulin initiation becomes easy. Although the problem seems diverse, the solution is rooted to education and awareness. (1). Ghosal S and Batin M. The diabetes epidemic in India: where we stand and future projections. Journal of the Indian Medical Association 2013; 111 (11): 751-4. (2). Raheja BS, Kapur A, Bhoraskar A, Sathe SR, Jorgensen LN, Moorthi SR, et al. DiabCare Asia – India study: Diabetes care in India – Current status. J Assoc Physicians India. 2001;49:717–22. (3). Wangnoo S.K, Maji D, Das A.K, Rao P.V, Moses A, Sethi B, et al. Barriers and solutions to diabetes management: An Indian perspective. Indian J Endocrinol Metab. 2013;17(4): 594–601. Dr Noma Salman is a Senior Tutor for Diabetes Qualifications from BMJ and University of Leicester. She is a GP who practices in Canada, and before that the UAE. Fasting the holy month of Ramadan is one of the five pillars in the religion of Islam. The adult Muslim is expected to observe this special month by fasting, praying and devoting additional time in service of God. When fasting, Muslims are expected to stop eating, drinking and smoking from dawn till sunset. Ramadan lasts for one lunar month and ends with 3 days feast where Muslims break their fast and enjoy a variety of different social activities and food invitations; sweets constitute a major part of it. The Muslim population is increasing and expected to rise from the current 1.6 billion to 2.2 billion by the year 2030. Adults and adolescents above the age of 14 are expected to observe Ramadan. They constitute approximately 1.2 billion (1), of which 77 million are estimated to have diabetes (2). Only healthy people are asked to fast. The sick, travelers, debilitated elderly people, and pregnant and lactating women, are exempt from this obligation. Despite this, many persons with diabetes insist on fasting which is sometimes against medical advice. What is the effect of fasting on the glycemic control of people with diabetes? Who can fast? What are the contraindications of fasting? What kind of medical adjustments must be done before, during and after Ramadan? And how effective is patient education in achieving safe fasting and afterward feasting? The main concerns and adverse effects of fasting are: Dehydration, Hypo and hyperglycemia attacks, Thrombosis and ketoacidosis. • Very high risk: where patients have experienced severe hypoglycemia or Hyperosmolar hyperglycemic coma or Diabetic Ketoacidosis within the last 3 months prior to Ramadan or have hypoglycemia unawareness, poor glycemic control, acute illness, pregnancy, kidney failure on dialysis. The current recommendation is to start with a proper counseling 1-2 months before the onset of Ramadan and to do full assessment which includes fasting glucose level, HbA1c, lipids profile, blood pressure and detection of complications. A session of Ramadan-focused education is also mandatory and is found to minimize the risk of hypoglycaemic events and prevents weight gain during this festive period for Muslims, which potentially benefits metabolic control (4). After that, the physicians should work with their patients to prepare an appropriate and individualized life-style, diet and drug plan. In terms of medication, dose and timing need to be adjusted and blood glucose need to be frequently monitored by SMBG. Metformin alone can be used safely during the fast with minimal possibility of severe hypoglycemia; however, consensus recommendations suggest the dosage can be modified such that two-thirds of the total daily dose is taken with the sunset meal and the other one-third is taken before the pre-dawn meal. Sulfonylureas should be avoided during Ramadan fasting because of the risk of hypoglycemia. When Insulin is involved, always consider intermediate-acting or long-acting insulin preparations plus short-acting insulin before meal (5). In my clinical practice, every Ramadan I face a major challenge which is the tendency and the deep desire to fast in most of my patients regardless of their risk status. This is mainly to do with patients’ cultural and religious values and usually it is difficult to modify. The other challenge is having Ramadan in July, the hottest month of the year in most parts of the Middle East. Furthermore in the northern hemisphere, Ramadan day will be the longest and can go up to 19 hours in some countries. These reflect on the possibility of increasing adverse effects and the need for further education. Eating healthy food during Ramadan and Eid time is a cornerstone as well as doing light physical activity and proper frequent SMBG testing. Education about how to react to low or high readings and staying in close contact with the physician are all essential strategies to reach the goal of safe fasting for people with diabetes. 3- 1. Al-Arouj M, Bouguerra R, Buse J, Hafez S, Hassanein M, Ibrahim MA, et al. Recommendations for Management of Diabetes During Ramadan. Dia Care. 2005 Sep 1;28(9):2305–11. 4- Bravis V, Hui E, Salih S, Mehar S, Hassanein M, Devendra D. Ramadan Education and Awareness in Diabetes (READ) programme for Muslims with Type 2 diabetes who fast during Ramadan. Diabet Med. 2010 Mar;27(3):327–31. An individual patient may have multiple cardiovascular risk factors. Apart from addressing them individually reducing the overall CV (cardiovascular) burden is essential. Elevated LDL (low density lipoprotein) cholesterol and low HDL (high density lipoprotein) cholesterol are the classical CV risk biomarkers. However with time it has become clear that targeting LDL-C is beneficial and not HDL-C.
As a result statins have become the backbone of reducing overall CV risk. It was the NCEP/ATP III (National Cholesterol Education Panel’s Adult Treatment Program-3) in 2002, which set the stage for the management of dyslipidemia. LDL-C remained the primary target with TG (triglyceride) the secondary target. Elevation of TG above 500mg% warranted treatment with a fibrate and values between 200-499mg% being further evaluated with non-HDL-C and additional drugs considered if it was 30mg% above the LDL-C target . However this was not supported by adequate evidence. In the 2011 AHA (American Heart Association) reviewed the whole issues surrounding TG & CV risk . They concluded that TG was not an independent risk factor for CV events and hence should not be included in the therapeutic agenda for CV risk reduction. This was reflected in the subsequent ESC/EAS (European Society of Cardiology/European Atherosclerosis Society) 2011  & AACE (American Association of Clinical Endocrinologists) 2012  guidelines. According to the former, LDL-C was the solo target for lipid disorder therapy. Triglyceride did not feature as a therapeutic option in any of these guidelines. This year we came across the ACC/AHA guidelines based on the available evidence on lipid lowering therapy and reduction of atherosclerotic burden . None of the important studies done till date with a statin was conducted in a treat-to-target fashion chasing LDL-C to lower targets. We did not have any evidence that LDL-C in a lower quintile was associated with lower CV events. As a matter of fact the landmark HPS (Heart Protection Study) concluded that we can achieve a 34% relative risk reduction for CV events VS placebo by using a fixed dose of simvastatin (40mg/day) “irrespective of the end-of-study” LDL-C level, a finding replicated in the CARDS trial [6,7]. ACC/AHA recommendations as a result did away with LDL-C targets and stressed on using moderate intensity statin therapy as primary prevention and high-intensity statin for all secondary prevention scenarios except heart failure (NYHA II-IV) & CKD (chronic kidney disease) patients on dialysis. This strategy is supported by the NHS 2010 lipid lowering guideline where a “treat and forget strategy” is advocated especially for primary prevention . However in the same month we came across a couple of dissenting position papers from the NLA (National Lipid Association) & EAS . They did not advocate this lipid management strategy citing several grounds. The usage of a different CV risk scoring chart with questionable utility for the European or other ethnicity; doing away with lipid therapeutic targets when others existed for BP (blood pressure) & glucose; exclusion of some important RCTs; lack of recommendations for those above 75 years of age; no mention of strategies in those with statin intolerance were some of the criticisms. We are all aware about the several fold increased CV risk in patients with CKD. The CV risk is high even amongst those with early nephropathy with large number of patients dying before developing advanced stages of CKD . Most of the meta-analyses found utility of adding or continuing with statins in CKD except for those on dialysis . The very recent IAS recommendations as well as the 2013 KDIGO guidelines recommends statins for CKD except for those on dialysis in line with the above-mentioned meta-analyses [12,13]. However they did stop short of recommending in favor of withdrawing a statin when a CKD patient progresses to dialysis. In tune with the ACC/AHA recommendations the KDIGO does not support testing for LDL-C routinely prior to initiating a statin or after it is started. Follow up lipid measurements are only indicated once there is an issue with treatment adherence; change in renal replacement therapy; suspicion of a new secondary cause of dyslipidemia or a high CV-risk estimate in individuals below 50 years of age not on statin therapy. Most of the randomized controlled trials excluded the elderly age group most probably due to increased anticipatory co-morbidities, drop-out rates, poly-pharmacy & and risk of drug interaction. This has erroneously resulted in a conclusion that the elderly do not require cholesterol-lowering treatments. Epidemiological data on the other hand points towards an increased CVD risk in the elderly . The PROSPER (Prospective Study of Pravastatin in the Elderly at Risk), SAGE (subjects – the Study Assessing Goals in the Elderly) & GREACE (GREek Atorvastatin and Coronary-heart-disease Evaluation) studies pointed at CVD benefits of statins in the elderly age groups [15,16,17]. PROSPER & SAGE confirmed that statins do have a role in reducing the high baseline CV risk in the elderly. GREACE on the other hand demonstrated an increased CV risk in older patients on usual care, which was significantly reduced with structured statin-based care. The ACC/AHA/NHLBI & ESC/EAS guidelines acknowledges the need to treat the elderly with a statin especially in the backdrop of CVD or more than one CV risk factor (apart from age) . The use of a statin in the elderly as a primary preventive strategy remains a grey area pending well-conducted trials. The recommending authorities leave this decision on the discretion of the physician considering the individual risk profile of the patients. So where do we stand on this issue? We have clear-cut recommendations based on well-conducted evidences on certain areas and have a vast clinical field left uncovered. One thing is for certain that statins remain as one of the most important tools for reducing the overall CVD burden both as a primary as well as a secondary strategy. The clinician is then left to decide whether to follow the treat-to-target policy or the CV risk-based strategy. There are no recommendations from most of the major bodies for using any other lipid-lowering agent for the reduction of the residual CV risk. The ADA 2014 recommendations however gives us the option of considering a fibrate faced with statin intolerance in a patient with HDL-C <40mg% & LDL-C 100-129mg% . There is definitive indication to use a statin even in the elderly especially in the backdrop of high CV risk (secondary prophylaxis). Statins should be used to reduce the CVD burden in patients with CKD (not on dialysis). There is no evidence in favor of a treat-to-target approach in this area. We can continue with the statin if the patient is already on one while progressing to advanced stage of CKD necessitating dialysis. The issue of estimating CV risk with the help of a risk score especially in the Asians (ethnicity issue). A dedicated trial designed in the treat-to-target fashion looking into the different quintiles of LDL-C and CV risk reduction. Statin and CV risk reduction in the elderly as a primary preventive strategy. Doing away with the indirect means of assessing atherogenic dyslipidemia (non-HDL-C; apoB) and introducing direct lipoprotein sub fraction analysis methods e.g. electrophoretic method. This will help us in answering whether the residual CV risk is from the other lipid sub fractions (excluding LDL-C) or related to the dysfunctional LDL-C per se. Recommendations faced with statin intolerance. Utility of a combined anti-dyslipidemic therapy (statin & fibrate) on CV outcomes especially in the backdrop of a low HDL-C & a high TG. Impact of lipid lowering strategy in patients with CKD on dialysis.
. Miller M, Stone MJ, Ballantyne C, Bittner V, Criqui MH, Ginsberg HN, et al. Triglycerides and Cardiovascular Disease: A Scientific Statement From the American Heart Association. 2011; 123(20): 2292-2333.
. ESC/EAS Guidelines for the management of dyslipidaemias. European Heart Journal 2011; 32:1769–1818.
. American Association of Clinical Endocrinologists’ Guidelines for Management of Dyslipidemia and Prevention of Atherosclerosis. Endocrine Practice 2012; 18(Suppl 1): S1-S78. [Accessed on: 5th March 2014].
. MRC/BHF Heart Protection Study of cholesterol lowering with simvastatin in 20 536 high-risk individuals: a randomized placebo controlled trial. Lancet 2002; 360: 7–22. Atorvastatin Diabetes Study (CARDS): multicenter randomised placebo-controlled trial. Lancet 2004; 364: 685–96. kidney disease. Int Urol Nephrol 2013; 45(6):1605–1612.
. Nikolic D, Nikfar S, Salari P, Rizzo M, Ray KK, Pencina MJ. disease patients: a meta-analysis of randomized controlled trials. Curr Med Res Opin 2013;29(5):435–451.
. KDIGO clinical practice guideline for lipid management in chronic kidney disease. 2013; Kidney Int Suppl 3:259–305.
. Szadkowska I, Stanczyk A, Aronow WS, et al. Statin therapy in the elderly: a review. Arch Gerontol Geriatr 2010; 50: 114-8.
. Shepherd J, Blauw GJ, Murphy MB. Pravastatin in elderly individuals at risk of vascular disease (PROSPER): a randomised controlled trial. Lancet 2002; 360: 1623-30.
. Deedwania P, Stone PH, Bairey Merz CN. Effects of intensive versus moderate lipid-lowering therapy on myocardial ischemia in older patients with coronary heart disease: results of the Study Assessing Goals in the Elderly (SAGE). Circulation 2007; 115: 700-7.
. Athyros VG, Katsiki N, Tziomalos K. Statins and cardiovascular outcomes in elderly and younger patients with coronary artery disease: a post hoc analysis of the GREACE study. Arch Med Sci 2013; 9: 418-26.
. Pasternak RC, Smith SC Jr, Bairey-Merz CN, Grundy SM, Cleeman JI, Lenfant C. ACC/AHA/NHLBI Clinical Advisory on the Use and Safety of Statins. Circulation 2002; 106: 1024-8.
. Standards of Medical Care in Diabetes-2014. American Diabetes Association. Diabetes Care 2014; 37(Suppl 1): S14-S80. 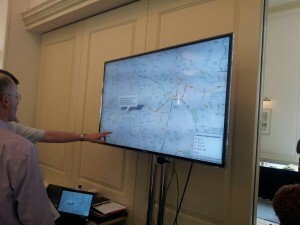 Yesterday at BMA House, the team from BMJ Informatica hosted a day dedicated to diabetes. It asked the question “How can we prevent diabetes from bankrupting the NHS?“. The audience consisted of doctors and pharmacists involved with the commissioning of diabetes care. There was a lively discussion on the challenges that diabetes, and obesity, present to the health service. The debate was informed by the a research update on screening and risk scores from Dr David Webb at the University of Leicester, the use of routine clinical data and risk scores from Dr Pete Green from Medway CCG, and an international perspective from Professor Henk Bilo of the Netherlands. There was also a presentation from Professor Kilm McPherson looking at updated models of future obesity rates, John Stewart describing the NHS Outcomes Frameworks, and Professor Stephen Bloom looking at the future therapeutic trends in the management of obesity. The meeting was chaired by Professor Sir Charles George and myself. Although we didn’t come to any simple answer, plenty of interesting ideas shared. Prioritising patient reviews, using data to focus resources, virtual clinics, the efficient division of labour between primary and secondary care, strategies for local negotiation and methods for overcoming various forms of stakeholder resistance were all explored. What I found the most fascinating was the data analysis that Paul Barbour from BMJ Informatica had prepared. Each delegate had an estimated prevalence and cost summary for their CCG derived from various data sources. There was also a screen with a Google Map of the UK overlaid with every GP practice so that the number of QOF-registered people with Type 2 Diabetes could be compared with the risk-score estimate of prevalence. The data made for a great focus of discussion when displayed on a large screen. BMJ Informatica map of GP practice data on people with diagnosed and undiagnosed Type 2 Diabetes. 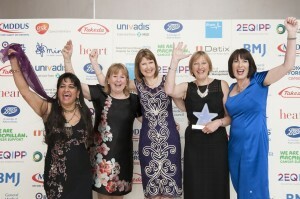 Dinner with the diabetes team of the year! The evening was in central London and a great success as usual. It is good to celebrate good practice – of which there is plenty to choose from – instead of dwelling on the shortcomings of care. Matthew Billingsley and I managed to record a short interview with the team where they explained what their programme had achieved. Unfortunately it seems that in the real world primary care can only stabilise weight and HbA1c in people with Type 2 Diabetes. A study of electronic records in primary care in the Netherlands has shown that the effect of lifestyle interventions was not as great as that seen in published research. The authors felt that more future research (of effectiveness) should take place in real-world primary care settings and especially those that have electronic records. This would better reflect the feasibility of translating this research into practice. Another finding from the study was that the authors felt most of the variability of outcomes was explained by differences between patients rather than healthcare staff. This has implications for correct interpretation of variability in apparent performance. There was an excellent update on type 2 diabetes in children and young adults by Professor Melanie Davies at the weekend in Leicester as part of the Postgraduate Diploma in Diabetes lecture series. She outlined the current burden of the disease, its risks and gave an account of the ongoing research at University of Leicester. This is an important area to consider and quite specialised involving poor physical health, poor diet, mental health and family issues let alone the presence of retinopathy, fatty liver and cardiovascular risks at presentation. “It can be a lot more complicated than a Type 1 Diabetes Clinic”, she said. The International Society for Pediatric and Adolescent Diabetes (ISPAD) have published guidelines on Type 2 Diabetes in children and adults which acknowledge the association with obesity and insulin resistance, and the increasing public health burden changing the pattern of presentation of diabetes in the young. 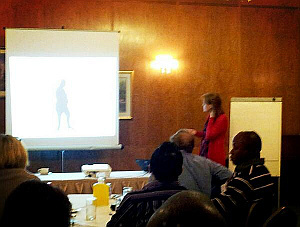 Professor Davies also gave an overview of the EXPEDITION study – Early Detection of Cardiovascular Dysfunction and Health Behaviours in the Young with Type 2 Diabetes – that they are running at Leicester with some examples of the marked cardiovascular changes in these young people detected with cardiac MRI. Whilst there is a great potential for computer-based technologies to support people with diabetes – especially, perhaps, where there is connectivity through wireless internet connections – the authors point out that there remains uncertainty about which active components of these types of interventions actually work. These computer-based interventions are complex and despite the enthusiasm of a number of mHealth, telemedicine, and telehealth supporters it is clear that technology in itself is not necessarily an effective tool. Aspects of the design around the use of theoretical models of behaviour change need to be explored. I don’t see this review as negative as the summary reads. A small (albeit expensive) effect on blood glucose is to be welcomed. 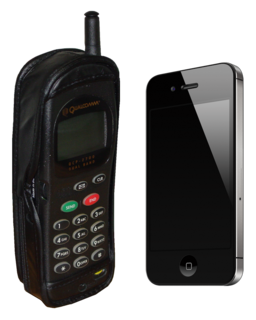 This is review that points out that the initial enthusiasm for mobile technologies show some promise but more rigorous research needs to be undertaken to see which aspects work. Designers of computer-based applications to support people with diabetes should work more closely across disciplines including human-computer-interface design and theoretical models of behaviour change.